More than four decades of Enterprise software and custom programming expertise. Since 1974, Quinte Computer Services Ltd. has been a leading developer of custom database software solutions. Organizations from just about every industry have relied on our company to meet their unique software requirements. Today, we continue to offer customized database solutions alongside our Enterprise software solution called Solentris. Solentris represents the absolute pinnacle of cloud-based accounting and business software. For more information on Solentris, please check out the Solentris website here. If your business or organization would like to take advantage of Solentris or would like to discuss your customized software requirements please contact us at 613-966-3070 or via our Contact Us form located here. 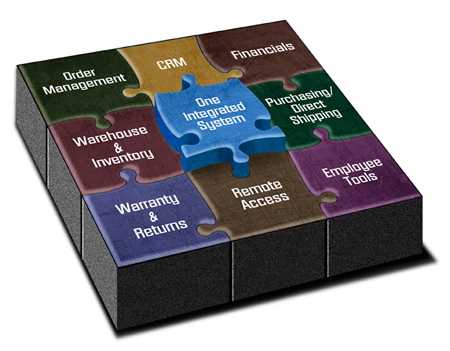 Solentris – The definition of complete business software integration. Your organization can benefit from our 36+ years of history and experience developing and implementing accounting and business software. Access your system anywhere, anytime. Virtual Managers provide intelligent, timely information to functional personnel across your operation. Solentris is not a “one suit fits all” business solution. We tailor our business suite to fit your special business needs. Enhanced software designed to meet the needs of multi-currency global organizations. Solentris integrates with Magento, one of the premier e-commerce shopping cart systems in the world. Solentris does not use call centers for support. When you call us, you talk to dedicated personnel who know your business and your system.